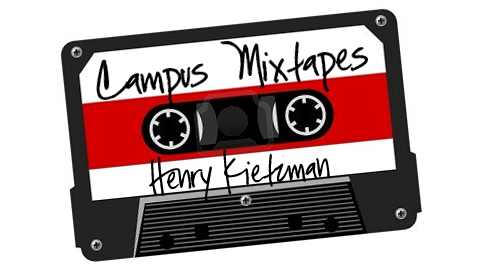 Henry Kietzman ’14 is a Neuroscience Major. He’s on the swim team and enjoys inventing new craziness at Sharples, dancin’ like a fool, and searching for sweaters. His music inspirations center around his love for acoustic folk, but branch all over the place if the song’s catchy enough. These are songs for those a bit homesick and dreaming of home and summer! At this point in the semester, I feel like the work is large and the motivation is small. To keep myself going in these tough times, I usually spend a decent amount of time being productively unproductive and finding new music. I enjoy creating ‘playlist journeys’ that start in one place and slowly bring you to a place altogether different. This playlist begins with melancholy moments that might get you down, and hopes to carry you through a progressively more positive adventure, ending at a much more helpful place. I hope these songs will be just as ameliorating for you as they are for me during times where I feel I’ll never leave Cornell, and will get you looking forward to the summer that’s just around the corner. awesome playlist! also, I like your face.